This week's pick for our best blog feature is Teach Preschool. We are featuring an interview with Deborah today and rounding up some of our favorite Teach Preschool posts this afternoon. Kids Activities Blog is so excited about our best blog series. We are hoping to introduce you to some sites you won't want to miss! The Teach Preschool blog will show you how to share, learn, and discover the wonderful challenges and rewards in the field of early childhood education. We are interviewing Deborah today to find out about the mom, grandma and teacher behind Teach Preschool. I began looking at blogs by other teachers and moms back in 2009 and was inspired by them. I truly believed that if these ideas being shared by other bloggers meant so much to me that perhaps they would also be meaningful to others. It was then that I decided to try my own hand at blogging with the goal of sharing real life early learning in action. I started my blog in hopes to inspire, educate, and in some small way raise the awareness of the amazing world of early childhood education. I have two grandsons – ages 3 months and 18 months. They are the apple of my eye. I also have 12 beautiful students ages 3 through age 5. My students keep me grounded in what really works and they are happy to also let me know when something doesn’t work! There isn’t any one activity that I can point to that I would call my favorite. Instead, what I can tell you is that what I love is any activity that includes a process that inspires my students to express their own ideas, the freedom to explore, and the opportunity to try new materials and resources. My desire has always been for folks to see first hand how capable young children are and the many different ways young children can learn through hands-on opportunities and exploration. On my blog you will discover the wonderful challenges and rewards in the field of early childhood education with me! Young children are so capable. When teaching young children, start by believing your children or students are capable and then give them to the tools to discover for themselves how capable they really are. You can catch Deborah on her website and FB, as teach_preschool on Twitter and on Pinterest. Thanks so much Deborah for sharing your educational expertise in early childhood education with us today and on your blog. Teach Preschool is one of my very favorites! I have learned so much and tried so many new things with my son from visiting . Truly a fan!! 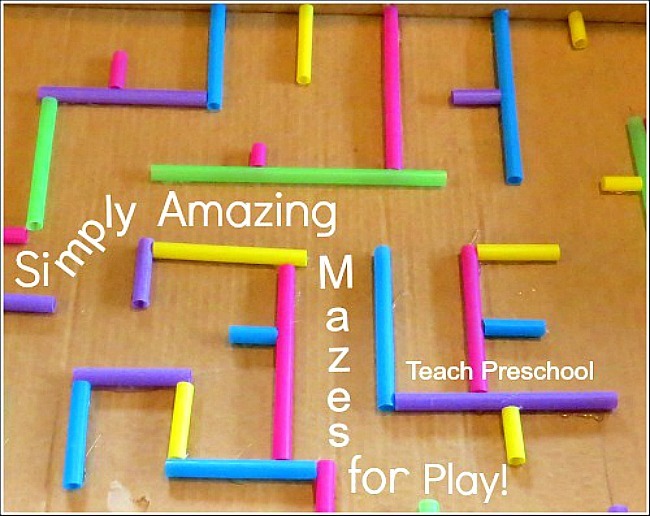 I use Teach Preschool a lot when I am planning activities for my 3-4 year old preschool kids. Nice posting. Thanks for sharing such a nice article. My children really liked the post. keep it up.